One of the UK's outstanding Employment (advisory and tribunal work) and Business Immigration lawyers, Victoria is based out of the firm's Reading and Mayfair offices. Victoria is a Partner based in Doyle Clayton’s Reading and Mayfair offices specialising in employment law as well as business immigration law, with a particular focus on corporate clients, from SMEs through to PLCs. “We really appreciate Victoria’s speed to respond, depth of advice and her attention to record keeping and detail on visa matters. We have complete trust in her to administer this from start to end for us, and to ensure that we comply with all our sponsorship duties. Victoria has steadily grown the firm’s Thames Valley Business Immigration practice which is regarded as one of the best known and most successful in region. 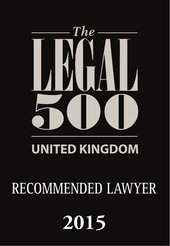 This has seen her establish a reputation for advising and working particularly closely with corporate clients helping them with all their business immigration requirements, from Tier 2 visas through to the point of indefinite leave to remain and naturalisation applications. With a detailed knowledge of sponsor management systems, she also acts as the Level 1 User for organisations enabling them to manage the operation of their sponsor licences and regularly advises on right to work checks and Home Office sponsor guidance ensuring that clients remain compliant. For individuals, Victoria also has a growing private practice, including advising on Permanent Residence applications for EU nationals, naturalisation and British citizenship registrations, through employment or family links. Advising Dixons Carphone on both its UK immigration matters as well as its employment tribunal matters within the South of England. Assisting a well-known insurance firm with sponsoring a number of lawyers with niche skills to come and work in the UK. Advising a well-known software company and an international publishing house on corporate restructuring issues, TUPE transfers from the immigration side, complex PBS reporting, record keeping and compliance, including the need for a new sponsor licence as a result of a merger. Assisting a new global mining company to recruit overseas migrants with niche skills required to develop and drill a new mine in the north of England. This included assisting the CEO’s family with a complex application through their familial links to the UK. Victoria works predominantly with corporates advising them on their employment law and HR issue, including complex discrimination and whistleblowing matters, TUPE and restrictive covenants. She also advises senior executives on contractual issue and negotiating exits. Representing Chestertons in the Employment Tribunal Remedy Hearings, Employment Appeal Tribunal Hearing and Court of Appeal hearing in the landmark whistleblowing case of Nurmohamed v Chestertons. Advising two businesses on #MeToo complaints raised by female employees, including advising on the exit of a senior member of the management team as a result of the complaint (which attracted press attention). Advising a global plc on a complex equal pay and discrimination claim in the Employment Tribunal. Advising a number of household names on day to day employment matters, including clients in the fields of financial solutions, software, retail, fast food and the UK arm of an international oil and gas/energy company. Victoria regularly delivers training to her clients and seminar attendees on a wide variety of topics, including legal updates (immigration and employment), right to work checks, Home Office compliance, Tier 2 sponsorship, other routes to work visas and Brexit. Visas - applicants denied for fifth consecutive month! Immigration - ways your business can get it wrong! To get in touch with Victoria, please phone +44 (0)118 959 6839, email her at vburnip@doyleclayton.co.uk or connect on LinkedIn. 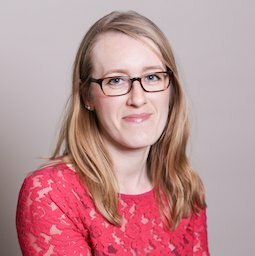 Associate Victoria Burnip is the key contact in Doyle Clayton's Reading office; she handles the full range of business immigration issues, including assisting with sponsor licence applications. Victoria Burnip is praised as ‘an expert in her field’ and for her ability to ‘build strong client relationships’.